Many people think of history as something divided chronologically and geographically. An historian might say that she specializes in Japanese history or the history of the Middle Ages. History of science, however, is a thematic division. An historian of science might study the history of vaccination, the history of celestial mechanics, or the history of scientific institutions. 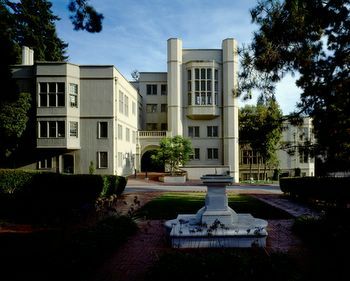 History of science students at Berkeley can be found in several departments, including history, art history, English, and philosophy. The Department of History offers a graduate field (MA/PhD) in the history of science. Graduate students in the history of science at Berkeley enjoy a kind of dual citizenship: not only are they enrolled in a top-ranked doctoral program, but they also have full access to the resources available in the Office for History of Science and Technology (OHST) and the Center for Science, Technology, Medicine, & Society (CSTMS). At Berkeley, students learn to see the practice of science as related to its cultural, intellectual, and historical context. The paired resources of OHST and the departmental doctoral program provide PhD students with a strong grounding in both the special field of the history of science and the larger discipline into which it fits. Completion of the PhD generally takes five to seven years, and upon graduation students have gone on to teach (at institutions including Harvard, Oxford, Stanford, and UC Berkeley, among many others), while others have chosen other career tracks — including careers as museum scientists, archivists, science education specialists, or even stockbrokers and software engineers. Faculty members’ research foci are described here. History of science is always interested in students with research interests outside of these areas, though, so prospective students should not be discouraged if their interests do not completely overlap with those of the faculty members. In recent years, graduate students have worked in areas as diverse as the history of modern computing, medicine in colonial Cambodia, and the creation of European scientific horticulture. OHST and CSTMS provides graduate students with access to a wide range of professional and community resources. Through our colloquium series, production of the journal Historical studies in the physical and biological sciences, and participation in the International Summer School in History of Science, graduate students are exposed to current work in all areas of the history of science. In addition, OHST maintains a close relationship with history of science programs at other local universities, including Stanford and UC Davis, and the program in History of Health Sciences at the University of California, San Francisco. If you have questions about the graduate offerings in history of science at Berkeley, or would like to arrange a visit to OHST, please contact us by calling 510-642-4581 or emailing Davinder Sidhu at dsidhu@berkeley.edu. If you are interested in applying to the History Department’s graduate program, contact the department for application materials and information. For current Graduate Field students, grants are available for History of Science-related conferences and fieldwork. Application deadlines are once per year, May 1st. Please see the guidelines for more information. A graduate program is far more than seminars, research, and dissertation-writing. OHST and CSTMS’s intellectual community provides a stimulating atmosphere for learning and sharing. The CSTMS Colloquium is a seminar series of invited lectures held approximately every other Thursday from 4-6pm in 470 Stephens Hall during each semester. They are often sponsored by research units within CSTMS, and occasionally co-sponsored by other units at Berkeley and other UC campuses. The colloquia help countervail the tendency in academic work toward social isolation and excessive specialization, and are aimed at fostering a sense of intellectual community among a group of talented young and established scholars. The colloquia are an integral part of your intellectual life and professional development here at Berkeley. Students in their first two years are expected to attend, and advanced students, visitors, and others are warmly encouraged to. The current colloquium schedule is available under Events. The CSTMS community also organizes a weekly OHST Working Group for its local community and visiting scholars. These meetings provide an informal forum for discussing developments in History of Science and in Science and Technology Studies, as well as your ideas, interests, and intellectual conundrums. The Science, Technology, and Society Center (STSC) is another part of CSTMS, and promotes research and discussion of STS issues at Berkeley. History of science students often find its offerings helpful. It also sponsors a working group in Science & Technology Studies. 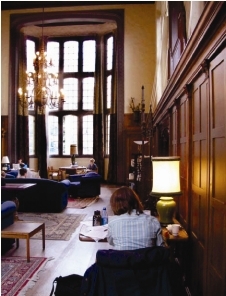 Located in 220 Stephens Hall, the Townsend Center for the Humanities sponsors interdisciplinary activities (speakers, seminars, conferences, etc.) in the humanities and social studies, including science and technology related topics. It supports many working groups for students and faculty. Berkeley has an agreement for cross-registration with other University of California campuses and Stanford University. Notices of special lectures and seminar series are regularly circulated. In particular, the Program in History of Health Sciences at UC San Francisco, across the Bay Bridge, coordinates closely with Berkeley’s history of science program. In addition to our graduate students and faculty, OHST hosts a number of visiting academics from around the world. They stay with us for as little as a week, and sometimes as long as two or more years. How do I apply to the history of science program? The Office for History of Science and Technology does not grant degrees directly. Most students intending to study the history of science at Berkeley apply to the History Department’s MA/PhD program and choose History of Science as their field of concentration. If I apply to the Berkeley History Department, how is the history of science program structured? Berkeley history students take courses in two fields of study in the History Department, typically history of science and a geographical/chronological field (e.g., U.S., early modern Europe, East Asia – Japan). They also study a third, “outside” field in another department. This can be a science, a humanities/social science discipline, a professional field (such as public policy), or any other course of study offered at Berkeley. The outside field allows them to gain an interdisciplinary perspective. If I am in another department, how can I draw on the resources of history of science? All Berkeley doctoral programs require you to make contacts outside your home department. You can choose history for your “outside” field and work with a professor in the history of science. You can take courses, prepare an oral examination field, and have a historian of science on your dissertation committee. At Berkeley, I would get a PhD in, say, History, rather than the PhD in History of Science offered by some other universities. Does this matter? In some ways yes, in some ways no. Berkeley graduates are trained in their larger discipline as well as history of science. This gives them access to wider intellectual circles. After graduation, the strength of their home department (at Berkeley, typically one of the top-ranked programs in the nation) also helps them in their job search. The History degree has never disadvantaged our students in the history of science field. I want to study a topic which doesn’t correspond perfectly to a specific professor’s area of expertise. Is this a problem? No, professors welcome students with interests different from their own. However, if your topic is widely distant from current faculty strengths — in chronological, geographical, or disciplinary terms — you may need more information to make a decision. When in doubt, just e-mail the professor with your question. Is it possible to study the history of science if I don’t have a background in history? Yes. About half our graduate students come from science, philosophy, or other backgrounds. There is time during your coursework to fill in gaps in your preparation. In composing your application, address your background directly. A persuasive statement of purpose and relevant writing sample will help your application. What are Berkeley’s other attractions? Besides a scenic setting, fantastic cultural and recreational opportunities, and exceptional weather? 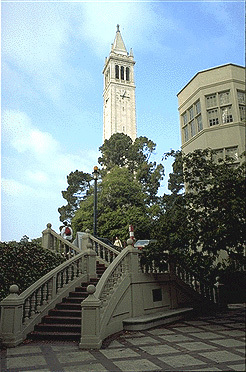 UC Berkeley is known for academic strength across the board. At Berkeley you can study more foreign languages than anywhere else in the country, take courses in an exceptional number of top-ranked graduate and professional programs, and encounter an amazing diversity of scholars. For more information, ask us to put you in contact with our current students, or e-mail them directly.